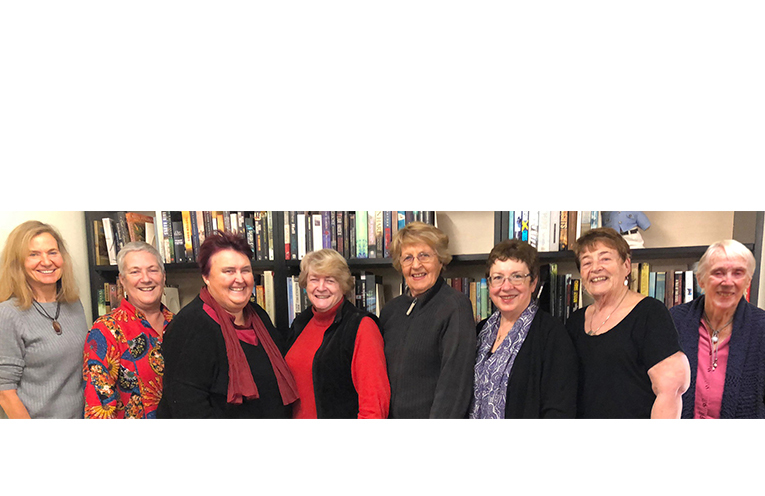 BOOK LAUNCH: Shawna Hartley, Elizabeth Hall, Lee Clayton, Moira Hooper, Joan Williams, Gail Rust, Maureen Kelly OAM, Olly Griffin. EIGHT women from North Arm Cove have spent the last three years creating what could only be described as a ‘labour of love’. The women have written a book of fictional short stories, all relating to the North Arm Cove area. “It’s set in 1983 and celebrates the founding of Matilda Bay,” Lee Clayton told News Of The Area. “It has interesting characters and subplots,” Lee said. The book is called ‘Matilda May Legacy’ and will be launched at the Galleries in the Garden in Marine Drive on Sunday 21 October at 2pm. Nine artists from the Gallery took part in a competition to create the artwork for the book cover. Artist, Sylvia Reczek took out the honour. The community is being invited to the book launch which will be conducted by Fellowship of Australian Writers President, Trevar Langlands. For more details, contact Lee Clayton at agiftofsong@icloud.com or phone 0411 883 264.